Successfully Added IQI I2 Android Smart Watch - 3G, Android 5.1, GPS, Bluetooth 4.0, Wi-Fi, Play Store, Pedometer, Heart Rate Monitor (Silver) to your Shopping Cart. Stay connected and enjoy the best of Android on your wrist with the IQI I2 Android smart watch. With a 1.33 inch display and made in classic silver, the watch is a looker as much as it is a performer. The IQI 12 comes with everything one could ask in a smart watch. It’s stylish, functional and lets you stay efficiently connected. Sporting 3G connectivity on a nano SIM, it can easily double as a phone letting you make and receive calls right on the watch. Running Android 5.1, the 3G smart watch offers a great intuitive interface. Everything you like about Android you will be able to enjoy on this smart watch’s compact screen — including access to the Play Store. Load up on games and apps and make full use of the smart watch’s 4GB of internal memory. Bluetooth 4.0 and Wi-Fi support ensure smooth communication with other devices. Hook up you smartphone for more functionality, the watch supports Android and iOS smartphones with a dedicated app that puts all the important info to your wrist. Featuring IP54 rating, the watch won’t mind a few drops of rain. It comes with a pedometer for encouraging physical activity and a heart rate monitor for giving you feedback to your body’s reaction to workouts. You will also have Google Maps and popular social media apps such as Facebook and Twitter updating you through out the day without having to get your phone out. 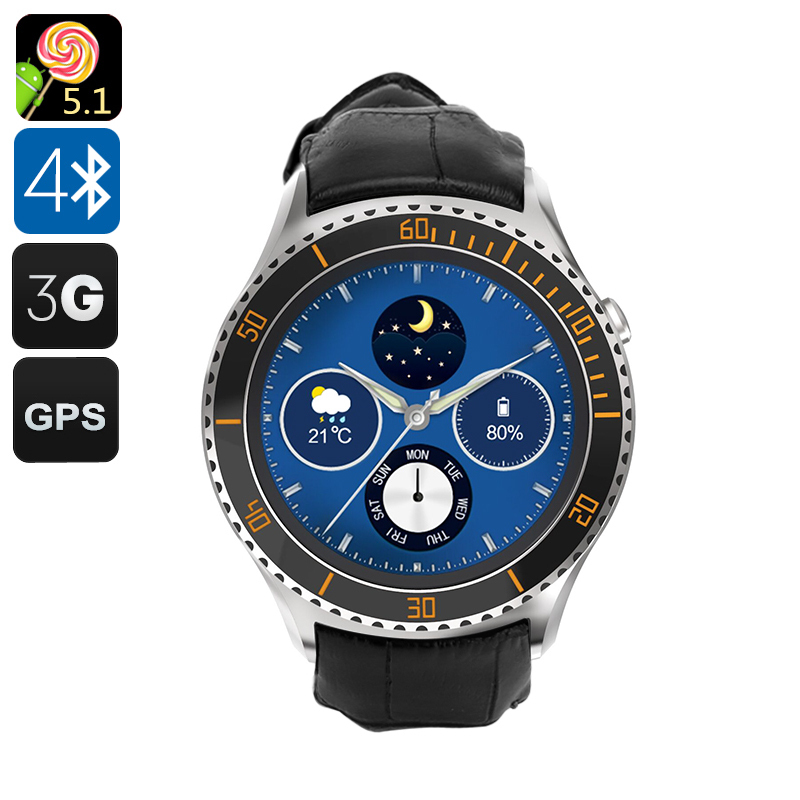 The IQI I2 3G Android Smart Watch comes with a 12 months warranty, brought to you by the leader in electronic devices as well as wholesale Android smart watches..